The average CPI of the above is 6353.21 and accordingly the number of DA slabs is 478 (6353.21-4440 = 1913.21/4= 478 slabs). The last quarterly payment of DA was at 456 slabs. Hence, there is a increase in DA slabs of 22, i.e. 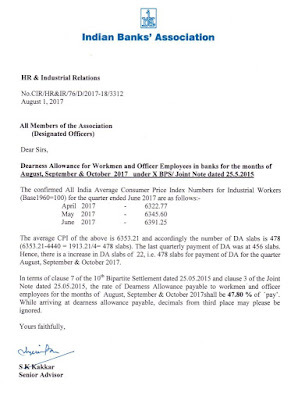 478 slabs for payment of DA for the quarter August, September & October 2017. 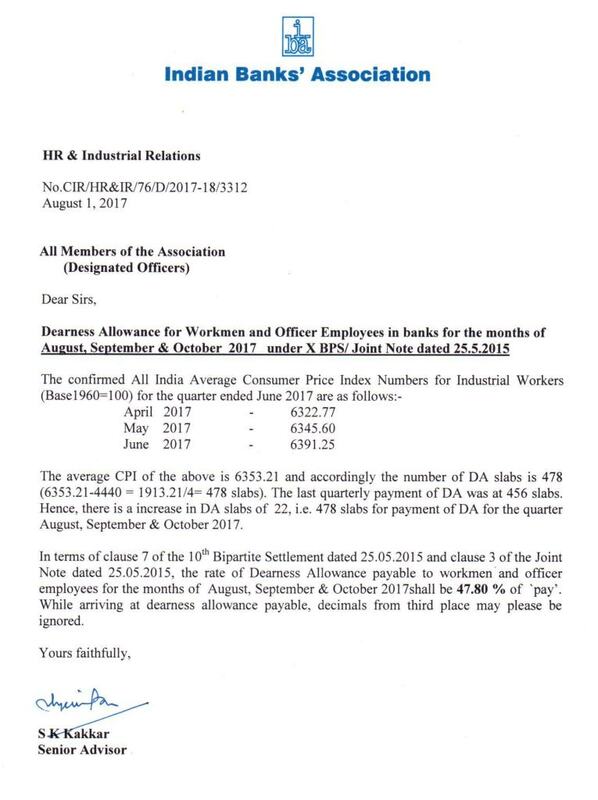 In terms of clause 7 of the 10th Bipartite Settlement dated 25.05.2015 and clause 3 of the Joint Note dated 25.05.2015, the rate of Dearness Allowance payable to workmen and officer employees for the months of August, September & October 2017shall be 47.80 % of 'pay'. While arriving at dearness allowance payable, decimals from third place may please be ignored.